On 4th of July weekend 2005, Paul and Connie Hartke visited his brother and wife at their new rental cabin, Breathless, while searching for an investment cabin of their own. An entire day was spent looking at properties around Gatlinburg, Pigeon Forge and Sevierville, TN. 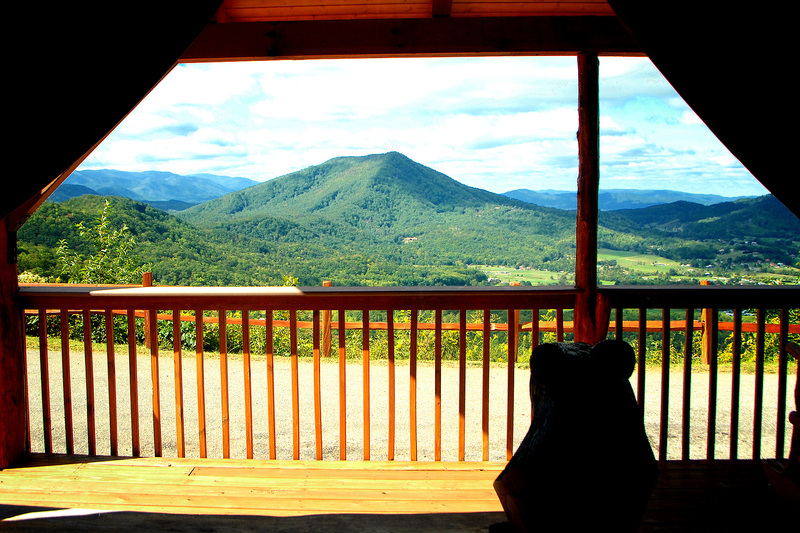 We were excited about several options, but when we got back to Breathless that evening with its awesome panoramic view over Wears Valley and into the Great Smoky Mountains National Park, we said “nothing came even close to this.” We’d seen some beautiful cabins, but where were the views??? Right here. The next day a “for sale” sign went up in the yard next door, and the purchase of Eagles View and its renovation quickly followed. In the summer of 2006 Connie and Paul purchased the 3 bedroom cabin, Above the Clouds. We renovated it to “deluxe” status, and the playground and partial-handicap access opened up this wonderful family cabin to a wider audience. Then on March 1, 2007 both cabins burned to the ground due to high winds and a brush fire. The Wears Valley and other firefighters tried their best, but the winds were too much. The incredible views were still there, so we built new cabins that fully take full advantage of the views and are really comfortable for those in wheelchairs, scooters or just need some handicap-type access. We have been told by both locals and regular visitors to the Smokies that there is no better view anywhere in the area than on our ridge on Cove Mountain. We built our cabins to be truly wheelchair accessible (not just a ramp to the front door). Connie consulted with a neighbor of ours who is in a chair, and got excellent advice such as placing the microwave underneath the counter rather than on top. Eagles View has one roll-in shower and Above the Clouds has two. 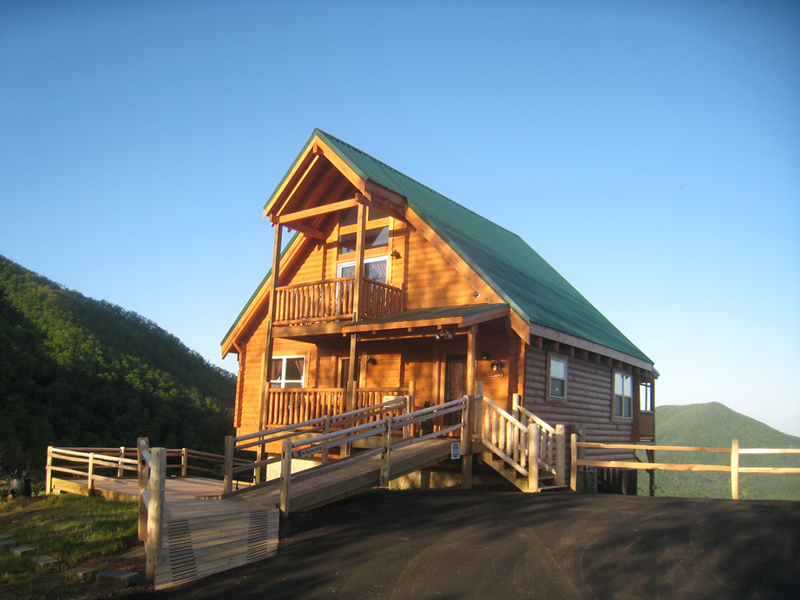 You can read more about each vacation rental cabins’ accessibility. We’ve even been written up in Frommer’s! Of course our two cabins welcome pampered dogs who are used to traveling with their family. Connie (who manages the cabin rentals) welcomes large dogs as well as small. Above the Clouds has a small yard with a swingset, so it is especially perfect for four-footed guests as well as children. We live in Northern Virginia. Paul co-owns a busy real estate company and Connie runs our various online businesses and real estate school as well as managing the vacation rentals, but she always has part of her mind and heart at our cabins in the Smokies.